Located in South Australia’s Ikara–Flinders Ranges National Park, Wilpena Pound Resort is a joint venture of IBA and the Adnyamathanha Traditional Lands Association (ATLA). Wilpena Pound Resort, Flinders Ranges, South Australia. Image courtesy of Anthology. 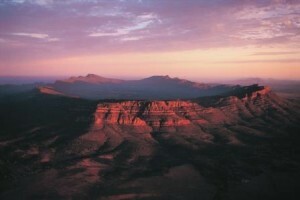 The four-star Wilpena Pound Resort is the only accommodation in the Flinders Ranges National Park. This important collaborative venture creates Indigenous economic development opportunities in remote South Australia and has strong cultural outcomes. 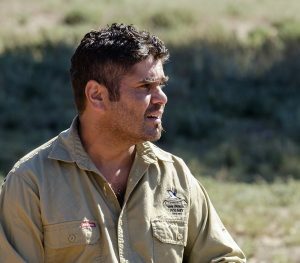 The investment is expected to create wealth and an ongoing income stream for ATLA, with IBA’s strategy to sell down the equity in the resort to ATLA over time, thereby increasing Indigenous ownership of Wilpena Pound Resort. In addition, there is potential for Indigenous employment, training and skills development within the resort. ATLA Chair Vince Coulthard confirmed that there is strong interest from numerous ATLA members to work at the resort. He is looking forward to seeing the social and economic outcomes for the community. ‘It’s been a dream of mine for a long time – my vision – that when people visit Wilpena, I’d like to have an Aboriginal person to welcome them from their first stop at the information centre,’ he says. Over 500 paying visitors have enjoyed Ikara culture walks since January 2016. Terrance Coulthard is one of the guides at the resort. As part of a management agreement between the two organisations, IBA Tourism Asset Management works closely with the Adnyamathanha people (Yura) to help them achieve their goal of creating a sustainable economic future. The Yura Engagement Strategy, developed to drive the social outcomes at the resort, has demonstrated great success. Aboriginal people now make up over 50 per cent of staff at the resort. A focus on training outcomes, a key pillar of the engagement strategy, has seen a growing number of Yura staff members step up to work in key roles, such as the front office, for the first time. Showcasing the local culture has been another key feature of the relationship. Activities such as guided walks and daily Welcome to Country ceremonies have provided an extra source of employment for Aboriginal people and improved revenue for the resort.